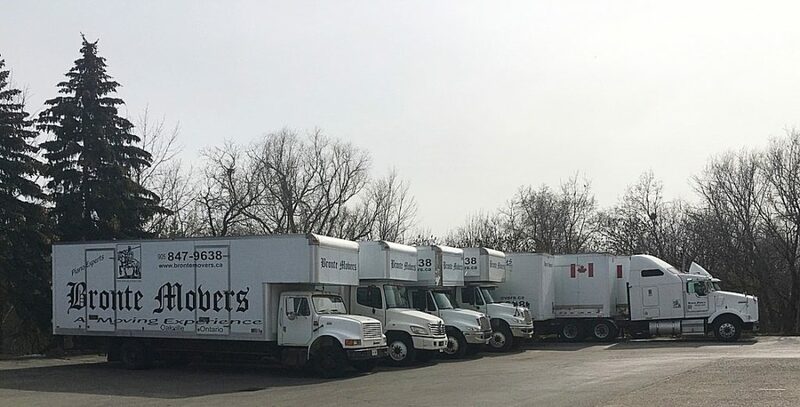 Bronte Movers Fleet of Trucks – Bronte Movers & Storage – Local Movers in Burlington, Oakville, Milton, Mississauga. We move people all over Ontario & Long Distance. Household moving, corporate moving, packing services, storage facilities, moving supplies, move management. Home of the piano moving experts. REACH YOUR DESTINATION 100% SURE AND SAFE, On Time, Secure, Reliable, Honest and Efficient. THE COMPLETE SOLUTION FOR ALL YOUR MOVING NEEDS! Bronte Movers has a solid fleet of trucks that vary in size. Sizes include 26′, 28′, and 53′ tractor trailers. All trucks are fully equipped with more than enough moving blankets to keep your furniture safe from any damage. Shrink wrap is used on all upholstered furniture to ensure that it arrives as clean as it left your home. Bronte Movers is ready to give you a true moving experience, large or small. Bronte Movers has been partners with Great Canadian Van Lines for 27 years. They specialize in long distance moving across Canada. This allows us to get your household items across our country with ease, safely and securely.